East Midlands Chamber has secured one of the most significant and highly-sought accolades in business. 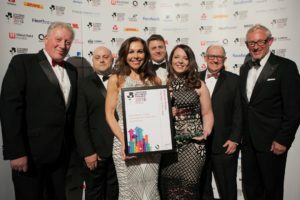 In a night of celebration at the prestigious British Chambers of Commerce Business Awards, held in London, it was East Midlands Chamber that won the overall Chamber of the Year title, sponsored by Quest. Scott Knowles, Chief Executive of East Midlands Chamber, added: “To win Chamber of the Year is a fantastic achievement and a great endorsement of the extensive activity we deliver to our members across the region.